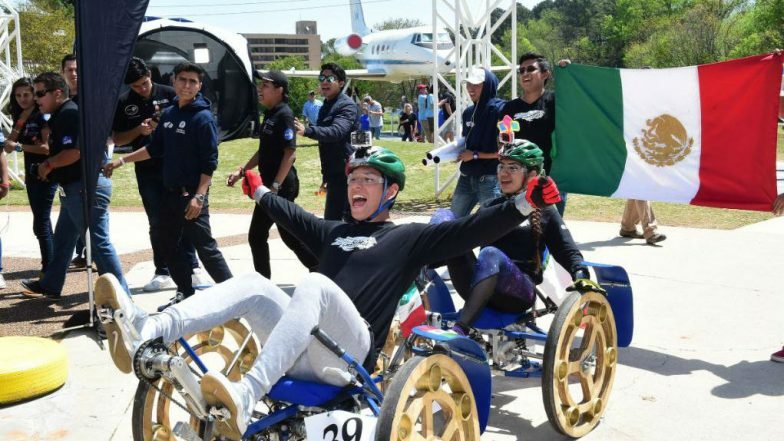 Washington, April 15: Three Indian student teams won awards in NASA's annual Human Exploration Rover Challenge at the US Space and Rocket Centre in Huntsville, Alabama. The team from KIET Group of Institutions in Ghaziabad won the "AIAA Neil Armstrong Best Design Award" in the college/university division, NASA said in a statement late Sunday. The Mukesh Patel School of Technology Management and Engineering from Mumbai won the "Frank Joe Sexton Memorial Pit Crew Award" in the college/university division. NASA's New Website homeandcity.nasa.gov Shows How Space Tech Impacts People's Day-to-day Lives. The Mukesh Patel school also won the System Safety Challenge Award at the competition hosted by NASA's Marshall Space Flight Center in Huntsville and held at the US Space and Rocket Centre. Lovely Professional University from Phagwara, Punjab, won the STEM Engagement Award. Nearly 100 teams took part in the competition, hailing from 23 states, the District of Columbia and Puerto Rico, as well as a record number of countries, including Bangladesh, Germany, India, Mexico, Morocco and Peru. NASA Completes 60 Years of Space Research.